All cancellations must be made 30 days prior to arrive date. A 100% of the money will be reimbursed. All cancellations must be made 15 days prior to arrive date. A 50% of the money will be reimbursed. All cancellations must be made 8 days prior to arrive date. We wont reimbursement any amount after this period. For group and agency the cancellation shall be made 30 days prior to arrival. Please, send copy of the deposit to the hotel by email: reserve@villasplayasamara.com. Todas las cancelaciones hechas 30 días antes de ingresar al hotel se reintegrara el 100%. Todas las cancelaciones hechas 15 días antes de ingresar al hotel se reintegrara el 50%. Todas las cancelaciones hechas 8 días antes de ingresar al hotel no serán reintegradas. Para grupos y agencias las cancelaciones deben de realizarse 30 días antes de ingresar al hotel, Por favor enviar copia del deposito al hotel por correo electrónico: reserve@villasplayasamara.com. Si su reserva no es confirmada por parte del hotel 72 horas después de la emisión de esta solicitud, el hotel no se hace responsable de la reservación de su espacio, aun si ha pagado un 25% de su reserva. Le agradecemos exigir su confirmación de lo contrario queda sujeto a la disponibilidad del hotel. Rates + tax (13%)All reservations will be confirmed by email. All modifications and cancellations must be sent in writing ( e-mail) to our reservations department. The request must indicate passenger’s name, quantity of people (adults and children), check in and check out dates, room type. Check in time is at 3:00 pm and check out time is at 11:00 am.Pets are not permitted unless otherwise indicated, with the exception of Seeing Eye dogs. Room preferences and special requests (i.e. bed preference and location) are not guaranteed, and are subject to availability at check in time. This information will be used sole by HOTEL VILLAS PLAYA SAMARA under penalty of applicable law. Unique Beach Front Resort In Playa Samara. 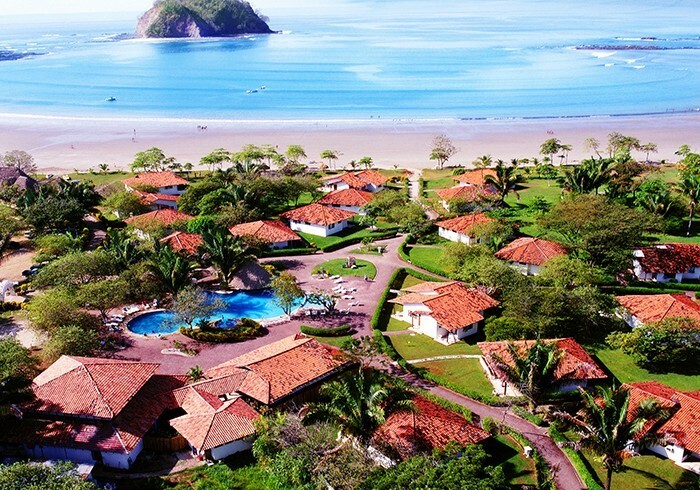 All Inclusive 4 star resort located in one of Guanacaste’s unique beach with white sand and calm waters. We offer you 116 rooms & villas, 1 buffet restaurant,1 a la carte restaurant, 1 wet bar,1 lobby bar, gift shop, gym, entertainment room, spa, tour desk, meeting rooms, onsite activities, free wifi and much entertainment. Address 1: From Downtown Samara,3 km road to Playa Carrillo.